I was a little hesitant to do another winter coat post for you, but I just have to share my latest winter wear obsession: cocoon coats. There seems to be an endless number of terms for various cuts of winter coats and cocoon is the term of the season as this enveloping style is popping up everywhere on street style blogs and Instagram feeds. 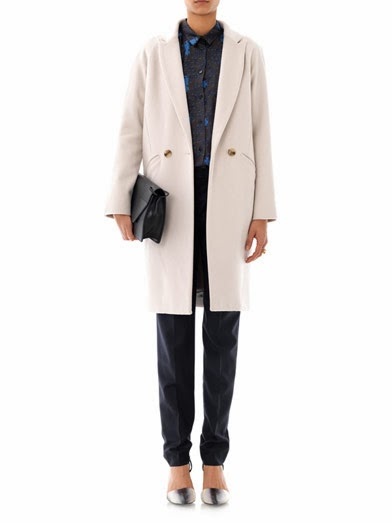 A cocoon coat refers to the shape of the coat when it is fastened around its wearer. Slightly reminiscent of an oval, a cocoon coat is usually fitted around the shoulders, but gently bulges around one's middle and falls below the knee. I know, not exactly the description for a very wearable piece of clothing, particularly on shorter people, but I swear, I think even us shorties could pull this off! You can never go wrong with a red coat in my opinion. Dare to stand out from the black herd with this strawberry red wool coat. I love the darling touches on this coat: the bracelet length sleeves, the contrasting trim and yes, even the slightly hi-low hem. 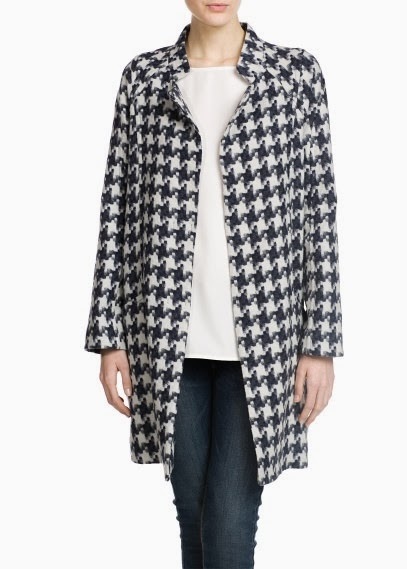 This coat just makes me want to clasp my hands together and go "eeee." If you've already got a plethora of colored coats, then why not try a classic print? Hounds-tooth is such a classic, never-goes-out style and yet it's uncommon enough to look daring and edgy! At least, in style-challenged places like Vancouver. This coat features a narrower fit than most cocoon coats, making it a little more forgiving for shorter girls while still evoking that encompassing feeling. ASOS is hitting it out of the park with their various cocoon coat options, but this is probably the one you've seen all the bloggers wearing. While I would normally shy away from wearing anything that is bubblegum pink and which has an almost calf-hair finish, I think the combination looks absolutely adorable on this coat. The hairy texture just begs you to stroke its surface and with the light pink color, it brings a youthful exuberance to this coat. While this won't be a buy that will last you the rest of your life, if you're young and trendy, then life is too short to not have some fun with a coat like this. However, if timeless and classic is more your M.O, then this option from J.Crew is probably just your speed. A quality camel coat never goes out of style and I like how the sleek lines of this coat elongate the frame. This coat also comes in 3 other funner colors: midnight green, a bright regal blue that's more like an electric cobalt and gossamer peach, which is almost a dupe of the ASOS pink coat. Lastly, I have to include this beautiful cream coat from Freda. 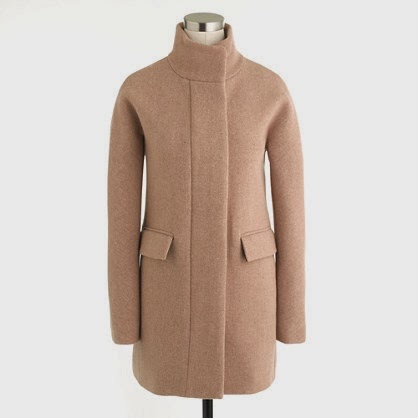 This coat is the epitome of luxurious and is made of 90% wool and 10% cashmere. This coat reminds me of a child wearing their father's suit jacket, but elevated 1000 times over into a sophisticated piece you could wear season after season. Even the lining, in its soft violet silkiness makes me want to reach through my screen and touch it. Which of these coats would you pick?